Michael Ratcliffe is an Authorised Representative and Oz Investments Pty Ltd trading as MR Financial Services is a Corporate Authorised Representatives of Elders Financial Planning Pty Ltd, Australian Financial Services License Number 224645. Michael was one of the first people in Queensland to become an Authorised Representative. 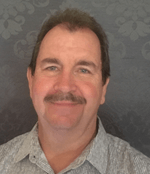 Colonial Funds Ltd authorised Michael in 1986 and since then he has been enjoying the challenges and rewards of running his own Financial Planning practice and providing advice to clients. Michael had been active in assisting other Financial Planners in up-skilling in the northern region. To do this Michael was the main co-ordinator in organising an annual seminar for local Financial Advisers on behalf of the FPA Cairns Chapter for a period of 7 years. As an Authorised Representative, Michael believes in helping his clients build a comprehensive program increase their earning potential during their working years, as well as helping them with their retirement planning, superannuation, risk insurance and estate planning needs. He achieves this by striving to provide quality advice, personalised service and practical ideas to deliver superior solutions that his clients can easily understand.